Stewardship is the responsible use and active protection of our natural resources. The fundamental issue we face is that we have a shrinking resource compared to the number of users. Protecting hiking areas, habitats, and ecosystems requires advocacy, conservation, and stewardship. Conservation through acquisition of lands can remove immediate acute pressures, but only through careful, prolonged stewardship can we hope to protect areas from the subtle but pervasive pressures of misuse, invasive species, climate change, and misguided wildlife management. Trail and Summit Stewards Our Trail and Summit Stewards provide the public with educational information that will assist with the safe enjoyable use of hiking trails. 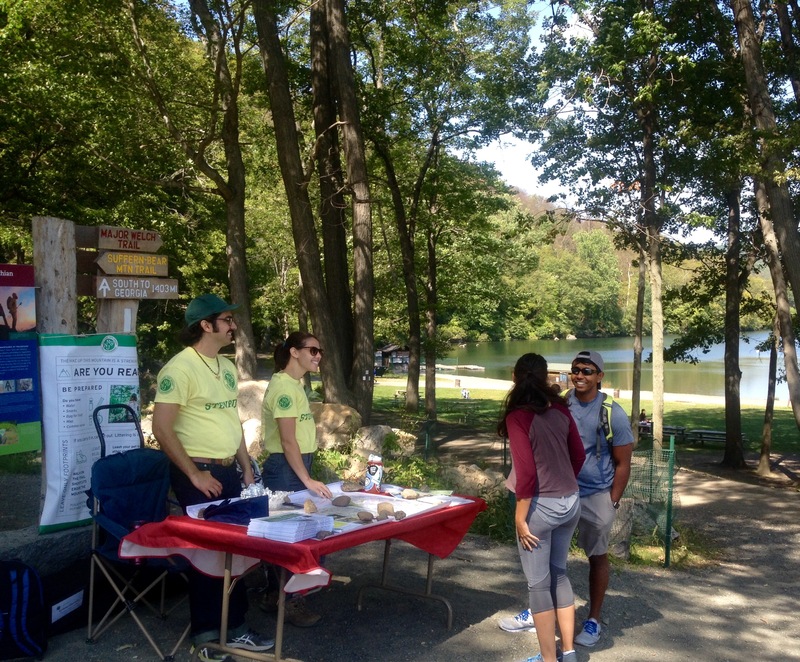 They educate the public about regulations and best practices for enjoying public open space. They encourage the best behavior on the part of hikers and facilitate a positive trail experience (particularly for those who are poorly prepared), and they discourage and mitigate misuse of the trails and the surrounding lands by performing educational and public-relations functions. The AT Natural Heritage Monitoring Program engages and trains volunteers to adopt and monitor the health of rare or endangered plant populations located along the Appalachian Trail in New York and New Jersey in cooperation with the Appalachian Trail Conservancy and the National Park Service. Each volunteer is assigned a specific species to become familiar with and checks and reports on the assigned population once a year. Threats to the health of these populations can be detected and acted on before they impact the species. The landscaping at the Trail Conference headquarters is designed to be both a learning environment to teach about native vegetation as well as a habitat for wildlife supporting the habitats offered by the parks which border our property. Volunteers are engaged to help plant and maintain the habitat. The Invasives Strike Force program works to preserve biodiversity in our natural environments by monitoring the presence of invasive species in our public lands, especially along hiking trails, and planning and implementing programs to control the spread of invasive species into our natural areas. 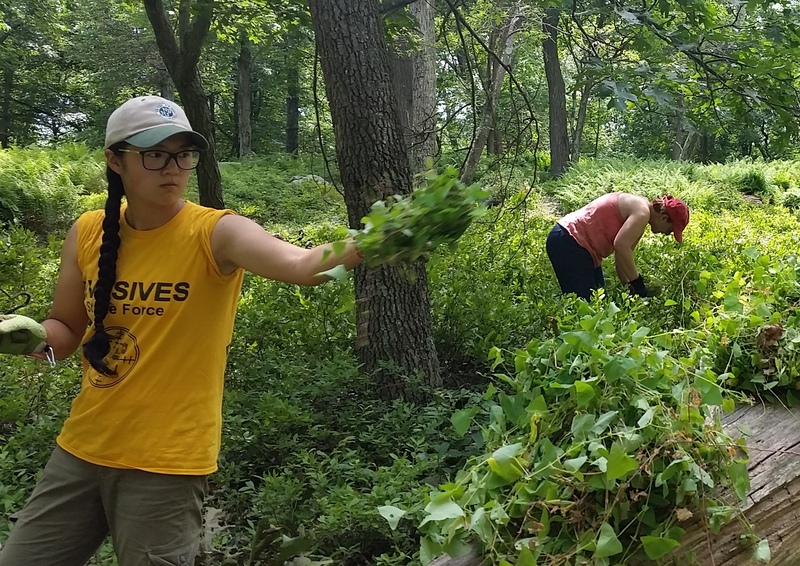 The program includes volunteers who survey for invasive plants along hiking trails, volunteers who help remove invasive plants during weekend volunteer work days, and a seasonal Conservation Corps crew that works all season to survey and remove invasive species.